Way to mark my the start of my Summer; with The Body Shop's mega launch of not one, not two but 3 exciting new ranges! I made my way to MOCA where the Summer of Love Launch Party was held; a cool see-through space surrounded by fresh greenery where I felt I has escaped from the hustle bustle of the city into a island wonderland, complete with flower garlands and yummy ice cream! Or get your recyclable canvas totes specially designed by the in-house artist! The Pinita Colada body care range is the epitome of summer happiness: it features hand-harvested coconuts from the Antilles region of the Caribbean as well as juicy pineapples from the Santo-Domingo area. You'll be glad to know that the Piñita Colada Body Butter and Exfoliating Cream Body Scrub contains our Community Trade organic Brazilian soya oil, which is popularly used for its powerful moisturising properties, as its rich in essential fatty acids. I think the Pinita Colada Body Butter ($30.90) can really do no wrong; I always feel like I'm luxuriously buttering myself with their choices of these great smelling body creams. For this range, I feel like a fruity cocktail, slathered with the delicious tropical note perfume my skin as the creamy layer gets to work at hydrating my skin. 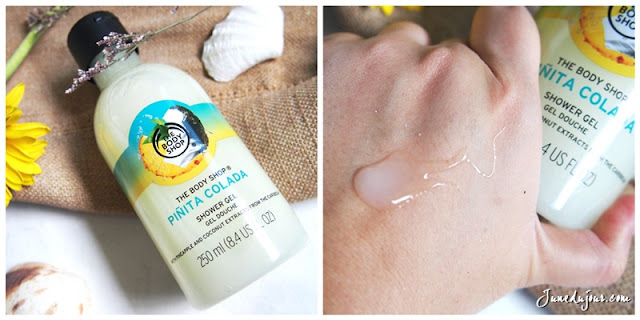 The Pinita Colada Shower Gel ($12.90) will certainly send you singing in the shower; which lathers into a rich lather than envelopes you within its creamy gel texture, leaving skin feeling soft and supple. 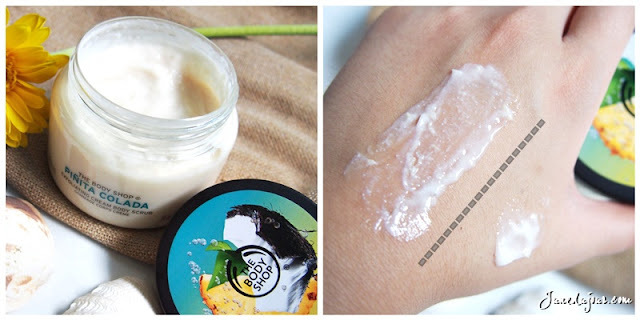 My pick of the Pinita Colada range is the Body Sorbet ($19.90), which is a glorious dainty hydrating souffle for the body, for times where you perhaps prefer a light moisturizing option. 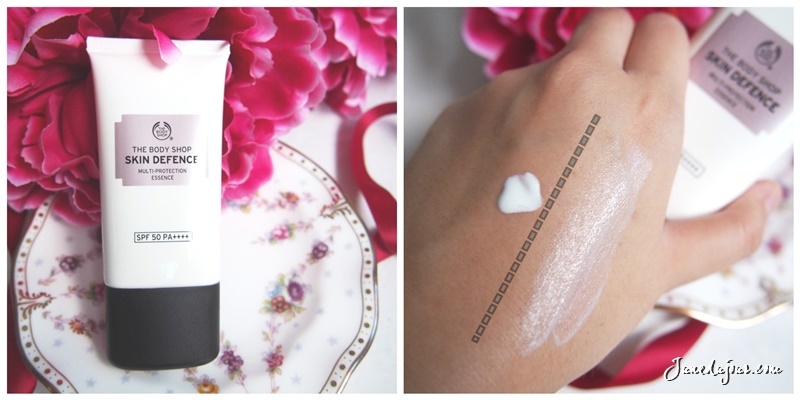 Noted that its a tad faster in absorbing as compared to the body cream. The Polynesian Island Tiare Body Cream ($32.90), a rich and subtly sensual body cream that is similar to the Body Butter mentioned above. I like this more personally because I gravitate towards light florals scents more. Here's an easy way to have your scent last longer: first luxuriate in a tropical bath experience with the Polynesian Island Tiare Shower Gel ($15.90), which lathers well without leaving skin taut and dry. After drying off, spritz the Polynesian Island Tiare Eau de Toilette ($36.90 for 30ml/ $56.90 for 50ml) onto pressure points of the skin (wrist, neck and elbow joint) to layer the scent. PS: How beautiful is this multi-facet glass bottle! The evergreen, best-selling Vitamin E is back and better than ever: its award-winning formulation is now additionally infused with 100% natural origin bio-fermented hyaluronic acid as well as the antioxidising power of wheatgerm oil. Also, its signature moisturisers, eye cream now contain red algae extract and vitamin C to brighten skin to increase its natural luminosity. 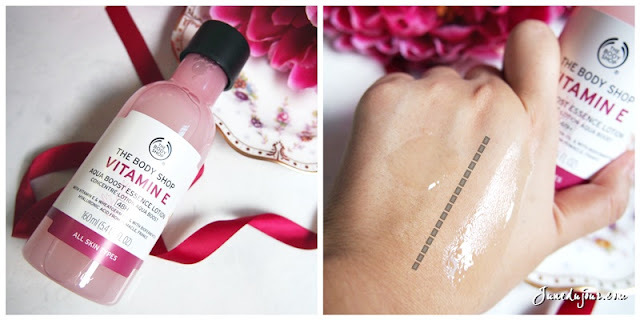 The Vitamin E Aqua Boost Essence Lotion ($29.90) has a great gellified consistency that I love, which transforms into a watery state as you massage it into skin. This new baby now boasts a biofermented hyaluronic acid component to truly add and lock moisture into the skin for up to 48 hours! 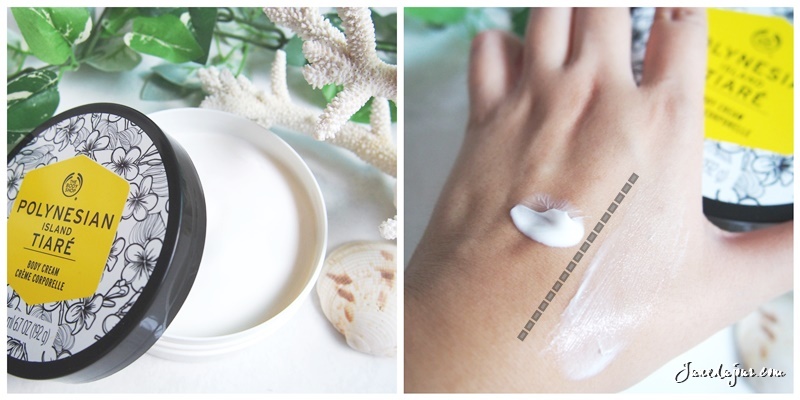 For those who require abit more hydration for their skin, look no further than the Vitamin E Moisture Cream ($32.90). For moisturization options under the Vitamin E range, there are 3 other choices: Aqua Boost Sorbet, Moisture Cream and Moisture Protection Emulsion (not pictured), but only this Vitamin E Moisture Cream has the ability of deep moisturization up to 72 hours. 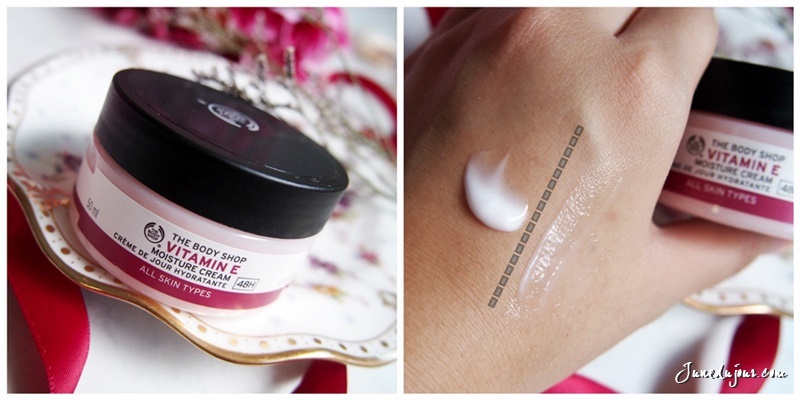 Rich but non-greasy, I alternate this with my usual sleeping mask to fortify my skin! I finally got to try the much-raved Drops of Light range, brightening collective contains red algae extract (for anti-spot correction) and vitamin C (for antioxidant nourishment) at the event. Adding to its skincare line is the Skin Defence Multi-Protection Essence ($34.90), a broad spectrum sunscreen that promises to fight the 'dirty cocktail' of aggressors: grime, smoke, sun damage,etc. 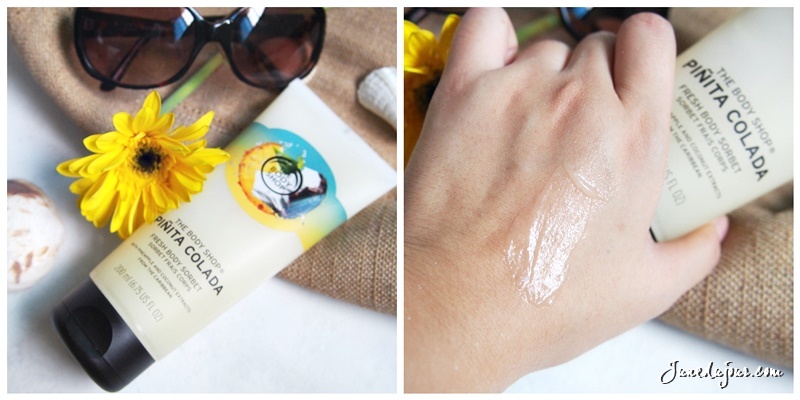 With a high UVB Protection of SPF 50, I assumed that this sunscreen would be heavy on the skin. But surprise surprise, its actually so light on the skin, transitioning from a runny milky liquid into a sheer mattified veil on the face, so layering on makeup is no problem at all! It contains Red Algae and Vitamin C to counteract the environmental pollution that causes skin to loose its suppleness. 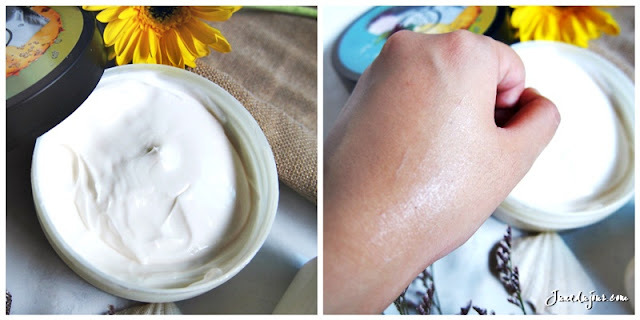 Non-sticky and smooth to the touch, it's become a permanent fixture of my skincare! Love what I've just reviewed? 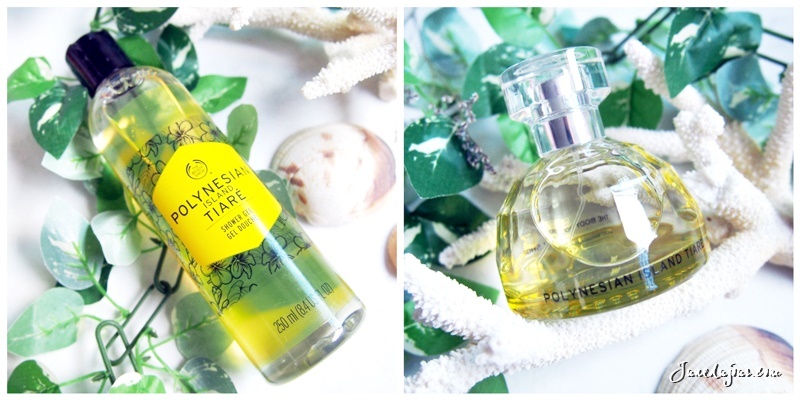 Fret not lovelies, you can get your slice of tropical paradise soon: The Skin Defence and Vitamin E is already retailing at all The Body Shop outlets while the Pinita Colada and Polynesian Island Tiare collection will be out in stores on my birthday, 9 June 2016! Thank you The Body Shop Singapore & WOM PR!